From January 1st 2017 there were changes made to the asset tests used for calculating how much you receive from the Centrelink Age Pension. To avoid any unforeseen issues relating to your Age Pension, it is important you know what these changes are, and how they will affect your fortnightly payments. Below you will find a brief breakdown of the latest changes (prior to March 19 2017) so you can be better informed and properly budget for the future. If your total assets fall below the asset-test free limit relevant to your situation, you will not suffer a reduction in your pension payments. At the moment, a family home is not counted as part of the assets test, though, the Australian Chamber of Commerce and Industry (ACCI) is currently proposing its inclusion in the future. The table below contains a list of the revised test free limits for both FULL and PART Aged Pensions. These asset test limits are effective from the 1st of January 2017 to the 19th of March 2017. Prior to the 1st of January 2017, those with assets exceeding the previously stipulated test free limits would receive a $1.50 reduction in their pension each fortnight for every $1,000 in surplus. This reduction is known as the Taper Rate. After this date, those with assets exceeding the newly adjusted limits will now be liable for a $3.00 reduction for every $1,000 in excess. If you’re assets are found to exceed the revised limits for the PART Age Pension your fortnightly payments will be cancelled. If your payments were cancelled as a result of these changes on 1 January 2017, you should have been sent a letter from the Department of Human Services explaining why this has happened. You will also be automatically issued a Low-Income health Care Cardand a Commonwealth Seniors Health Card. Because your payments have been cancelled under the new assets test adjustments, you will be exempt from meeting any income test requirements otherwise needed to receive these cards. If you were receiving the maximum pension benefit prior to 1 January 2017, your pension payments should not have changed. 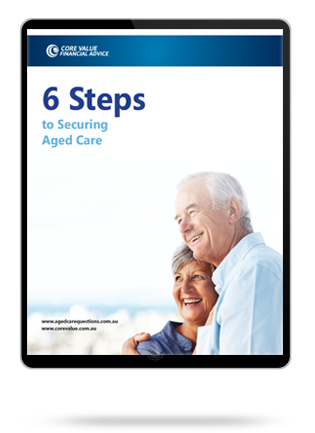 Although changes to aged care fees will apply, as your assets will have an impact on the subsidisation you receive from the Australian Government.